Teller Reveals His Secrets – Smithsonian. "Teller (the quiet one) talks about magic and neuroscience. By breaking down a card trick, he reveals how easily our brains can be duped. It’s a topic that’s more and more mainstream, as everyone from politicians to marketers tries to manipulate us. It’s also a reminder of how unfree free will is. Plus, cool trick." (Alistair for Hugh). Dance Dance Revolution – GQ. "This may be the greatest article ever written about the mainstreaming of electronic music (the runner-up is here). It’s packed with chewy gems: ‘a gentleman named Skrillex, whose music sounds like a computerized raccoon fight’ and ‘the world’s only groups of five people passing around menthols as though they were initiatory chalices are people on Ecstasy.’ But most of all, it’s a comical, clever, breathless look at the ascent of the bass." (Alistair for Mitch). Million-Dollar Traders Replaced With Machines Amid Cuts – Bloomberg. "I don’t know where to start with this article, or indeed where to finish. The ‘purpose’ of financial markets is to enable entities who produce value to raise capital in order to undertake costly initiatives (think building bridges, inventing new products, or investing in new marketing of existing products). These initiatives are supposed to add more value to the world, and the financial industry is supposed to take a slice for helping fund these initiatives. A secondary ‘purpose’ of financial markets is to enable companies to manage risk of price fluctuations in products that they are buying or selling. Of course we have gone a long way from this ideal view of what financial markets are supposed to do. Instead we have hedge funds traders running massive algorithms to make bets on market moves. But you can forget the traders now – those guys looking at green screens chewing their nails. They’ll all be gone from the picture soon enough, replaced simply by the algorithms themselves. And so the financial market will be (in fact, already largely is) driven by competing algorithms whose job it is to outfox other algorithms. This is the actual world we live in." (Hugh for Alistair). White Guys Running the U.S. House Face Diverse Democrats – Bloomberg. "Demographics are hard to fight, as Mitt Romney learned the hard way. If the Republicans want a future, it looks like they are going to have to figure out how to appeal to non-white America. Fox News commentator, Bill O’Reilly, said: ‘It’s not a traditional America anymore.’ He went on to say some pretty ugly things, but in a sense he was right: catering to rich white men is not likely to cut it for the Republicans, if the US is to remain a democracy." (Hugh for Mitch). Napster, Udacity, and the Academy – Clay Shirky. "Clay Shirky does not blog. Instead, he posts long-form text-based content on his blog. It is always worthwhile and it’s the kind of stuff you wish would get a much broader distribution in some kind of traditional mainstream publication. Clay has a problem: he’s too smart. This relegates him to a much smaller group of people who really want to think in a deeper and more profound way about how technology continues to change media. This latest think piece is no exception. Forget the title and just read it. 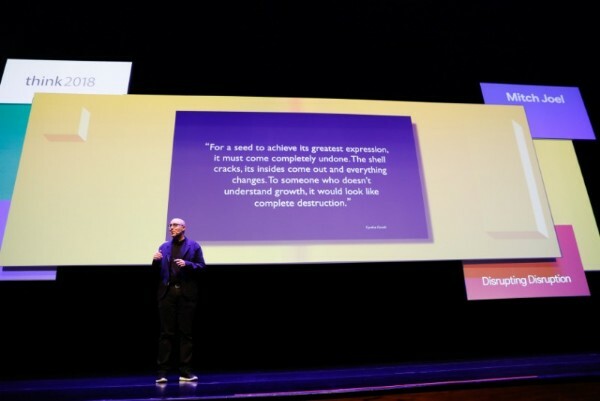 In the end, Shirky is a master at helping us better understand what happens when a technology helps a group of people redefine what is possible. Magical times… and the hits just keep on coming." (Mitch for Alistair). Scientists and Philosophers Answer Kids’ Most Pressing Questions About How the World Works – Brain Pickings. "I didn’t even make it through the first one-quarter of this article before switching tabs and buying the book, Big Questions from Little People & Simple Answers from Great Minds. I’m sure that books like this have been done before, but this one is spectacular, especially if you have younger children who are very inquisitive. I can’t tell you how many times, I get asked a question by one of my kids and my only response is <crickets>. This book asks some of the smartest people questions like: why we can’t tickle ourselves? If the universe started from nothing, how did it become something? And gems like How do chefs get ideas for recipes? and Who is God? The answers come courtesy of people like Noam Chomsky, Mario Batali and Richard Dawkins. Genius. Pure genius." (Mitch for Hugh). Big data is all the rage in every industry these days. In talking about what data can tell you, the line from this interview that stopped me was “if it’s interesting, it’s probably wrong.